Probable maximum precipitation (PMP) and flood (PMF) are the hydraulic design standard for highly sensitive infrastructures such as major reservoirs and nuclear power plants. In practice both PMP and PMF are analyzed by deterministic approaches without considering the potentially non-stationary trends introduced in a changing environment. In this work, we used a high-resolution distributed hydrologic model to study the likely response of PMF over the Alabama-Coosa-Tallapoosa (ACT) river basin to various affecting variables such as PMP variability, climate change, land use land cover (LULC) change, antecedent soil moisture conditions, and reservoir storage. A total of 120 relative humidity–maximized PMP storms under historic and projected future climate conditions were used to drive the Distributed Hydrologic Soil Vegetation Model (DHSVM) in current and projected future LULC conditions. The results indicated a significant increase of PMF in future climate conditions over ACT. In addition, the sensitivity analysis suggested that PMF is most sensitive to the source of meteorological forcing data set and climate change, followed by antecedent soil moisture, reservoir storage and LULC change. The ensemble of PMP and PMF along with their sensitivity allows us to better quantify the potential risks associated with hydro-climatic extreme events on critical energy-water infrastructures. Sudershan Gangrade is currently a fellow at The Bredesen Center, University of Knoxville Tennessee and researcher in the Environmental Sciences Division, Oak Ridge National Laboratory. He has a multidisciplinary background spanning the fields of environmental engineering, hydrology, geology andgeophysics. At ORNL, he has conducted high resolution distributed hydrological modeling to enable thedevelopment of an integrated modeling framework to generate estimates for probable maximumprecipitation and flood. His research interests include hydrologic modeling, impacts of climate change on hydrology, flood modeling and hydrologic extreme events. He is also a member of the ASCE Environmental and Water Resources Institute’s Hydrological Technical Committee which fosters solutions to engineering problems created by hydroclimate phenomenon such as climate change. Sudershan holds a M.S in Environmental Engineering and Sciences (2012) from Clemson University, SC, USA and a BS (B.Tech.) in Environmental Engineering (2010) from Indian School of Mines, Dhanbad, India. Bio: Sudershan Gangrade is currently a fellow at The Bredesen Center, University of Knoxville Tennessee and researcher in the Environmental Sciences Division, Oak Ridge National Laboratory. He has a multidisciplinary background spanning the fields of environmental engineering, hydrology, geology andgeophysics. At ORNL, he has conducted high resolution distributed hydrological modeling to enable thedevelopment of an integrated modeling framework to generate estimates for probable maximumprecipitation and flood. His research interests include hydrologic modeling, impacts of climate change on hydrology, flood modeling and hydrologic extreme events. He is also a member of the ASCE Environmental and Water Resources Institute’s Hydrological Technical Committee which fosters solutions to engineering problems created by hydroclimate phenomenon such as climate change. Sudershan holds a M.S in Environmental Engineering and Sciences (2012) from Clemson University, SC, USA and a BS (B.Tech.) in Environmental Engineering (2010) from Indian School of Mines, Dhanbad, India. Dr. Shih-Chieh Kao is a Senior Research Scientist and Team Leader of the Hydrologic Systems Analysis Team within the Environmental Sciences Division at Oak Ridge National Laboratory. His areas of research include hydrologic modeling, hydro-climate impact assessment, hydro-meteorological extremes, streamflow availability and river networks, and hydropower resource evaluation. He has been serving as the principal investigator of two Department of Energy Water Power Program projects – “National Hydropower Asset Assessment Program (NHAAP)” and “Effects of Climate Change on Federal Hydropower – SECURE Water Act Section 9505 Water Use Analysis” since 2011. Prior to ORNL, Kao was a postdoctoral research associate at Purdue University, where he earned his doctorate in Civil Engineering in 2008. His dissertation, “Multivariate Statistical Analysis of Indiana Hydrologic Data,” was awarded the 2008 Purdue Civil Engineering Best Dissertation. Kao has been a frequent reviewer for over 20 scientific/engineering journals. He is a member the ASCE Environmental and Water Resources Institute’s Hydrological Technical Committee on hydroclimate and probable maximum precipitation. Kao received the Outstanding Reviewer Award from Journal of Hydrologic Engineering at 2009, and the Statistical Hydrology Best Paper Award from International Commission on Statistical Hydrology at 2013. 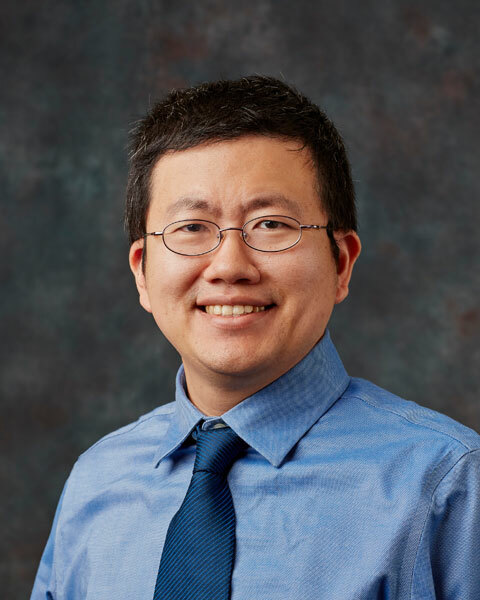 Bio: Dr. Shih-Chieh Kao is a Senior Research Scientist and Team Leader of the Hydrologic Systems Analysis Team within the Environmental Sciences Division at Oak Ridge National Laboratory. His areas of research include hydrologic modeling, hydro-climate impact assessment, hydro-meteorological extremes, streamflow availability and river networks, and hydropower resource evaluation. He has been serving as the principal investigator of two Department of Energy Water Power Program projects – “National Hydropower Asset Assessment Program (NHAAP)” and “Effects of Climate Change on Federal Hydropower – SECURE Water Act Section 9505 Water Use Analysis” since 2011. Prior to ORNL, Kao was a postdoctoral research associate at Purdue University, where he earned his doctorate in Civil Engineering in 2008. His dissertation, “Multivariate Statistical Analysis of Indiana Hydrologic Data,” was awarded the 2008 Purdue Civil Engineering Best Dissertation. Kao has been a frequent reviewer for over 20 scientific/engineering journals. He is a member the ASCE Environmental and Water Resources Institute’s Hydrological Technical Committee on hydroclimate and probable maximum precipitation. Kao received the Outstanding Reviewer Award from Journal of Hydrologic Engineering at 2009, and the Statistical Hydrology Best Paper Award from International Commission on Statistical Hydrology at 2013.